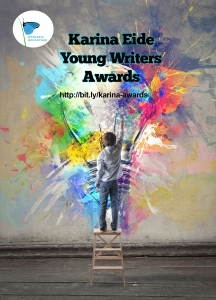 We’re pleased to announce the opening of the 2nd Annual Dyslexic Advantage – Writers Studio Karina Eide Young Writers Awards. All US students with dyslexia ages 7-17 are encouraged to apply! Over $1000 will be awarded to students showing creativity and excellence in creative writing. All creative fiction is welcomed, including fan fiction, poetry, short stories, and chapter excerpts from longer works. Please share with all the students and families you know! Thank you! Writers are allowed to dictate works or type. Works will be evaluated on the basis of storytelling ability, creativity, humor, and other aspects of excellent writing. Works will not be evaluated on the basis of spelling or grammar. To see examples of last year’s winners, scroll down to the bottom HERE.